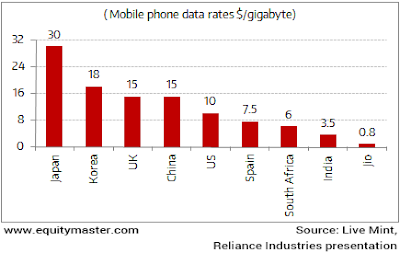 Home > News - SEPTEMBER 2016 > Mobile Phone data Rates in India is lowest in Globally. Mobile Phone data Rates in India is lowest in Globally. While this huge price disruption will no doubt benefit the mobile phone users.